In the networking world, Internet cable and LAN cable are the two frequently used terms. They are cables used to connect networking devices like computers, network switches or routers for transferring data. These cables are essentially the carrier or media through which data flows. So are they the same things? Here focuses on Internet cable vs LAN cable, to explain the two types and some FAQs. Internet Cable vs LAN Cable: What Are They? The Internet is a worldwide collection of networks that connects millions of business, government agencies, educational institutions, and individuals. Internet services like file sharing, Internet access, and more are all delivered to end users via various types of mediums, which usually includes network switches, routers, fiber optic links, copper cabling technologies and so on. Therefore, Internet cables can be regarded as the physical cables used in the Internet. The most common types are fiber optic cables, coaxial cable, copper cable and so on. A fiber optic cable contains one or more optical fibers inside an insulated casing, and work to deliver signal via light. It’s designed for long distance, high-performance data networking and telecommunications since it provides higher bandwidth and can transmit data over long distances. Based on different connectors, fiber cables are divided into standard fiber patch cables with connectors like LC or SC, and MTP fiber cables. The common fiber cables are widely deployed for most 10G transmissions, and MTP cables are designed for 40/100G transmissions in data centers. Besides, fiber cables are also used in outdoors. These outdoor fiber cables like armored patch cables or military grade fiber cables can be used in harsh environment such as outdoor underground cabling. Coaxial cable is one type of electrical cable. It has a center conductor and an outer conductor with an insulating spacer between them. 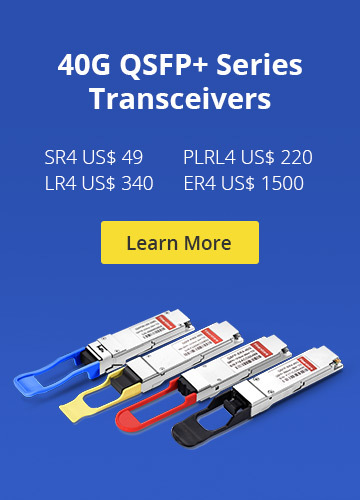 It’s primarily used in applications like telephone trunklines, high-speed computer data busses, carrying cable television signals and so on, since it can perform good at high frequencies and provide superior EMI control. Note that, copper cable is also called LAN cables, which is also a type of Internet cables. Its detailed information will be introduced as below. LAN (Local Area Network) is a network that works over a small distance, typically within one building or campus. LAN can be small, linking as few as three computers, but also can connect hundreds of computers used by thousands of people. LAN cable refers to the cables for carrying data in computer networking. There are two main types of LAN cable. 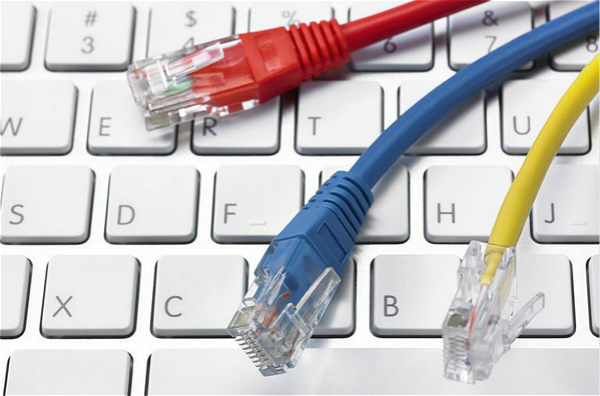 One is the standard straight through cable, usually known as Ethernet patch cable, which is used for connecting computers to routers or switches. Note that, common Ethernet cable comes in STP and UTP patch cable with a variety of grades as the following table shows. STP cable has an outside layer or “shield” of conductive material around the internal conductors, which is designed to reduce EMI effects. It’s widely used in environments where there is a high chance of electronic interference, like airports or factories. UTP cable doesn’t have shielding to reduce interference. It relies on the cancellation affect caused by the twisting of the wire pairs to handle EMI. It performs not as good as STP in EMI reducing. It’s often used for domestic and office Ethernet connections. The other type is a crossover cable, which is used for connecting two computers directly without routers, switches or hubs. As for straight through vs crossover cable, they use different wiring standards in the connectors of the two ends. The two connectors of straight through type use the same wiring standards, either T568A or T568B. While connectors of crossover adopt different standards, one connector uses T568A and the other one uses T568B. 1, Internet cable vs LAN cable, are they the same thing? LAN cable belongs to Internet cable. LAN cable can deliver Internet data or information to the end users via physical RJ45 patch cables, behaving like an Internet cable. While Internet cable contains a wider range of cables like fiber optic cables, telephone wires, HDMI cables. Actually, any cables used for transmitting Internet information can be regarded as Internet cable. 2, What does Internet and LAN cable do? For the Internet cable, such as fiber optic cables, they are designed with higher bandwidth, which is widely used in data centers that require higher transmission speed as they expand. Plus, fiber cables can be used in areas where heavy electromagnetic interference is present, such as on a factory floor, since they don’t conduct electricity. On the other hand, LAN Ethernet cables can be applied in voice transmission, in-building networks, and POE applications, since they can supply power and deliver data at the same time. LAN crossover cable is usually applied for networking two similar devices directly without using hubs or routers, like connecting two computers for file sharing. 3, Can I use a LAN cable as Ethernet cable? Yes. They are the same things in copper networks, since both the two types use RJ45 connectors, so they will be interchangeable. As for Internet cable vs LAN cable, both the two types can deliver signals and connect networking equipment like switches. LAN cable is a type of Internet cable, and Internet cable contains a wide range of cable types like fiber cables, telephone wires or coaxial cables. 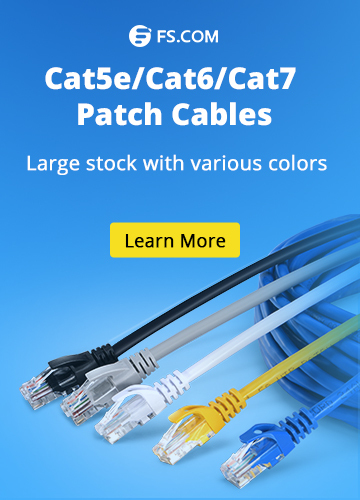 FS offers most types of Internet cables, including Cat5e/Cat6/Cat7/Cat8 patch cables, and fiber patch cables, etc. All the products are superior in quality with favorable prices, and 24/7 technical support and same-day shipping service are also available. Ethernet Network Ethernet cable, Ethernet patch cable, Internet cable, LAN cable, network cable, STP cable, UTP cable. permalink.